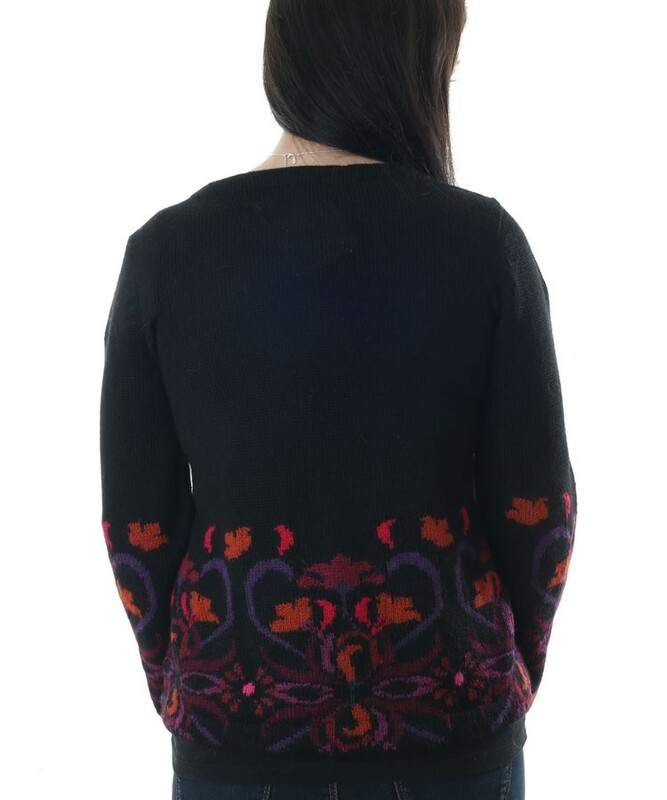 Ladies alpaca cardigan from Artisan Route by Raffa, style New Cross. 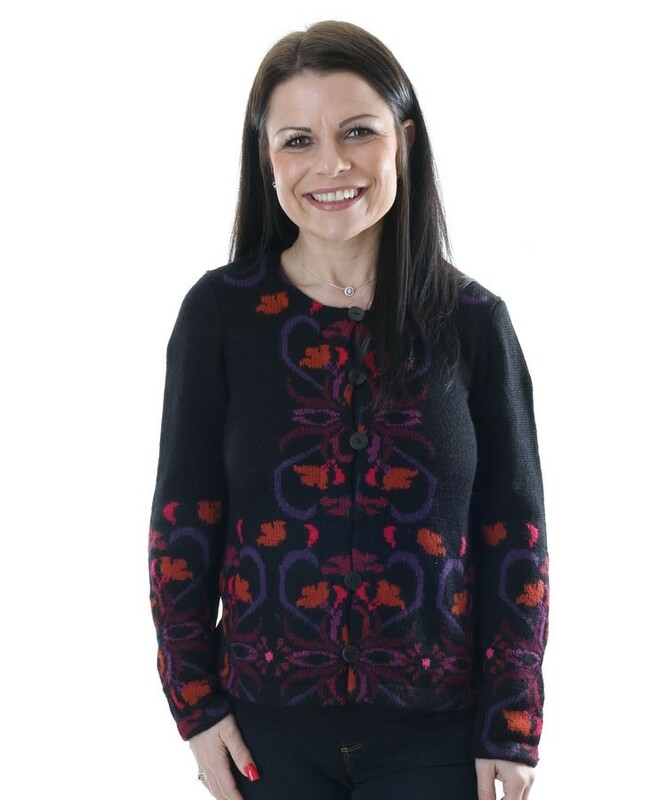 Beautifully hand crafted in Peru, this alpaca cardigan exudes elegance in a classic black with bursts of berry tones in a striking design.Great for everyday wear or just the thing to add a touch of class for a more special occasion. Alpaca is sumptuously soft and lightweight yet hard wearing and incredibly warm, it's even suitable for those who suffer with allergies too.